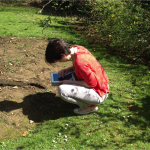 Spice up a learning outside the classroom experience with a digital treasure hunt. 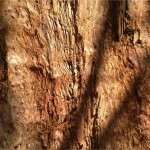 Set a series of artistic clues and ask the children to go on a photographic journey to explore their environment. Artistic things to look for: Finding a tonal scale of different clouds: brown, green, yellow.. Discuss the darkest and lightest colours- Dark colours are shades of a colour, light ones are tones. 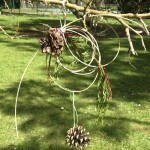 Collect your objects en-route and turn them into natural sculptures. Give each child an unusual word to explore texture: Spiky, Wrinkled, Coarse: collect 5 photographs to represent your word. Use pic collage to document your journey, swap iPads and ask the children to articulate the other persons story, use their imaginations to re-tell the story from a particular characters point of view. 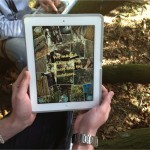 Extend the concept in to film productions using i-movie to capture your outdoor experience. This entry was tagged digital treasure hunt, pic collage. Bookmark the permalink.